Just 35 minutes' drive from the Salt Lake City International Airport, Park City offers the flavor of bygone mining days with the conveniences of a world-class resort town. 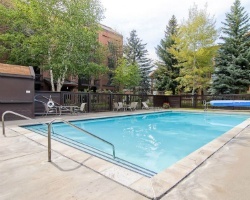 *Park Station* puts vacationers in the heart of Park City. Located at the foot of historic Main Street with its shops, restaurants, and nightlife, Park Station is steps from Park City Mountain Resort Town Lift and Town Bridge. While skiing is the largest attraction, with 3,000 vertical feet (914 meters) and over 2,200 acres (890 hectares) of ski terrain, Park City offers a variety of year-round events and activities. Usage includes 4 weeks a year that alternate every quarter! 1 block away from town lift in Park City .